The Callen Foundation was establishedin 2011 for the purpose of helping active military families in need. We are an Ohio 501(c)3 corporation. All donations received, less any PayPal fees on donated funds, are distributed 100% to the military families. PayPal fees can represent between .3% and 2.9% of funds donated through PayPal based on the size of the donation. Chris D. Callen the President of Chris D. Callen, Insurance Agent, an independent insurance agency that, for the last 33 years, has focused on the insurance needs of dentists and other medical professionals nationwide. His firm, Chris D. Callen, Insurance Agent, is based near Columbus, Ohio. 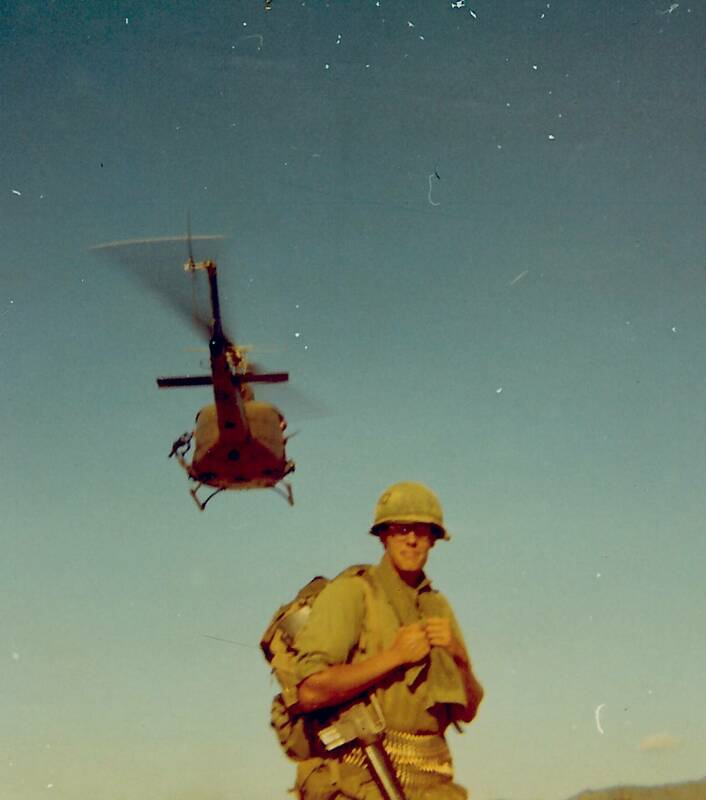 Chris is a Vietnam veteran who served with both the 101st Airborne Infantry Division and 4th Infantry Division units. He is a recipient of the U.S. Army’s highest award, The Combat Infantrymen’s Badge and a Bronze Star.In addition to running The Callen Foundation he is the founding State Commander of the Combat Infantrymen's Association, Ohio Headquarters Company. Chris serves as the post bugler with the Sunbury VFW Post 8737’s Honor Guard and performs at funerals and veterans' memorial events in Sunbury and on request as a member of Buglers Across America, an organization that provides live buglers for veteran’s funerals across the United States upon the request of the deceased family member. 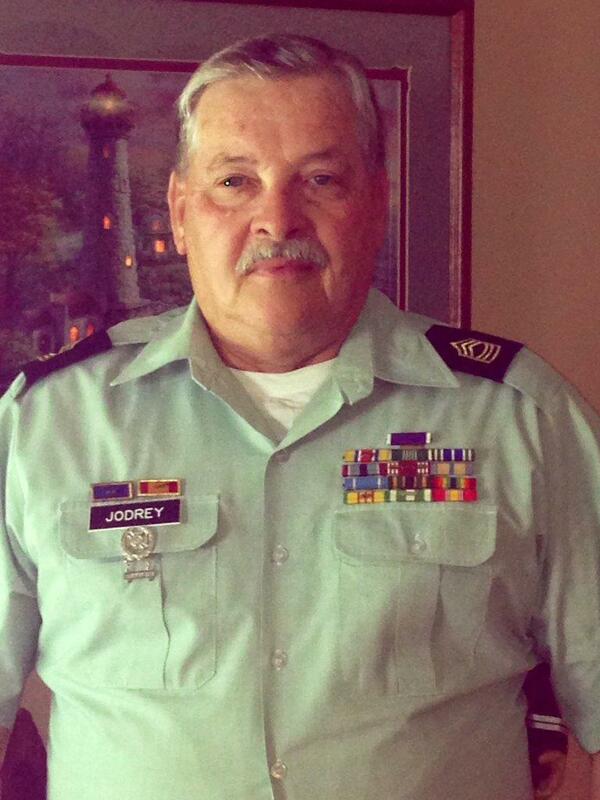 Jerry served 25 years in the U. S. Army and attained the rank of First Sargent. He is a recepient of the Us Army'shighest award, The Combat Infantrymen's Badge as well as two Purple Hearts for having been shot twice in Vietnam. After retiring from active duty he joined the Franklin County (Ohio) Sheriff's Department where he served for 25 years as well. Jerry has served as the Sunbury, Ohio VFW Post Commander for the past 12 years. He is also the Founder and Director of the Ohio Fallen Heroes Memorial Park located in Sunbury, Ohio and the current National Combat Infantrymen's Association. Jerry was recently one of 26 military recepeints of the Columbus Clippers Military Hero Baseball Card Collection military honeree collection. Derek Andrew DeBrosse is a licensed Ohio attorney with a firearms legal practice emphasizing in Gun Rights Restoration. Derek began his law practice immediately after law school in 2008 when he graduated from Regent University School of Law; Derek also holds a B.A. from The Ohio State University. Mr. DeBrosse’s practice not only focuses on rights restoration but also a variety of other firearm related matters from NFA issues to FFL representation. Derek has represented both individual, corporate, and grass-roots organizational firearm clients in both Federal and State court. 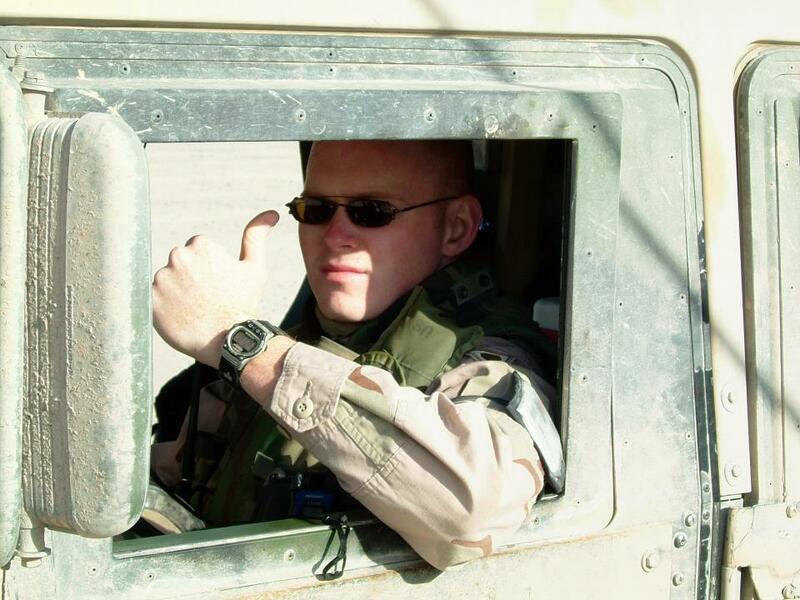 Before entering into law school Derek served a combat tour of duty with the 1487th Transportation Company in support of Operation Iraqi Freedom. Derek has received various military accolades to include the Combat Action Badge, Army Commendation Medal and Iraq Campaign Medal. Mr. DeBrosse is licensed to practice in all Ohio State and Federal Courts, the U.S. Supreme Court, the U.S. Court of Appeals for the Federal Circuit, the U.S. Army Court of Criminal Appeals, U.S. Navy-Marine Corps Court of Criminal Appeals, U.S. Air Force Court of Criminal Appeals, U.S. Court of Appeals for Veterans Claims and the U.S. Court of Appeals for the Armed Forces. Mr. DeBrosse is a NRA Benefactor Life Member, NRA Golden Eagle Member, NRA Firearms Instructor, GLOCK Advanced Armorer, Smith & Wesson M&P Armorer, Defensive Edge Certified Armorer in Precision Rifle/AR15/M4/M16/LEO Shotgun, and member of various other pro Second Amendment organizations. In his free time Derek enjoys tactical firearms training, backpacking, scuba diving, white water rafting and anything outdoor related. Professionally Derek also serves as Midwest Regional Counsel for FFL Guard, General Counsel of Ohioans for Concealed Carry, Judge Advocate for the American Legion, Department of Ohio, and Judge Advocate for the Ohio Combat Infantryman’s Association. Susan joined the Board in 2018. Susan is an established real estate professional in the Downtown Columbus area. She is the Manager and Senior Sales Agent, for the past 17 years, with Edwards Urban. Edwards Urban is one of the largest Condominium and Apartment construction company in Ohio. Susan has been a leading real estate professional in the Columbus area for the past 30 years. Kim also joined the Board in 2018. KIm is a retired Budweiser employee. Kim holds a Bachelors degree in Social Services. Kim is an avid supporter of our Ohio military families and welcomes the opportunity to serve them through particiaptation on The Callen Foundation Board. Adam Callen is the son of Chris Callen. He is the founder and owner of a computer enginering firm that installs Oracle mainframe security systems for large corporations and governement entities throughout the United States. He also runs two successful businesses in Puerto Rico. Adam is married to his wife Liz and they have a daughter Alexandria and son Ayden and currently live in Puerto Rico. John Coppel, Trustee, served 8 years as an officer with Huntington Bancshares, Inc, in Columbus, Ohio. Prior to joining The Huntington, John was a partner with Clark, Schafer Hackett & Co, CPAS, the largest regional CPA firm in Ohio, for 20 years. John has previous experience with several not- for-profit-boards of trusteesnd Director of Clark, Shafer Hackett & Co, CPAS, the largest regional CPA firm in Ohio, for 20 years. Emma is the President of EJB Hancock Bookkeeping Services. She is anactive member [for several years] of the National Society of Accountants, the American Institute of Professional Bookkeepers, as well as the National Association of Tax Professionals. Pror to starting her firm she worked for Ameritech [AT&T], and supervised their COE Division of Revenue reporting in the State of Ohio.